A surprising morning for many people, as a massive Cyber-attack infected thousands of users from almost 100 countries including India. Reports suggest that this attack was carried out using Cyber Attack tools which were stolen from US’ NSA. This attack only targets machines running Windows Operating Systems. Due to wide usage of Windows Operating Systems, the malware affected Hospitals, phone companies, car manufacturing companies, dozens of National Health Service Trust (NHS-UK), FedEx US and more. 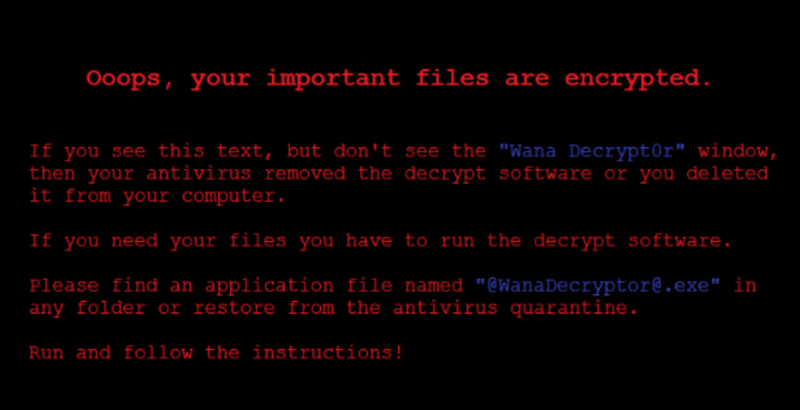 The malware goes with the name “WannaCry” or “Wanna Decryptor” and technically it’s an RansomWare, which gains total access of your system silently and locks it down to ask for the Ransom. Reports suggested that this malware asks around $300 – $600 US dollars with details of Bitcoin address. 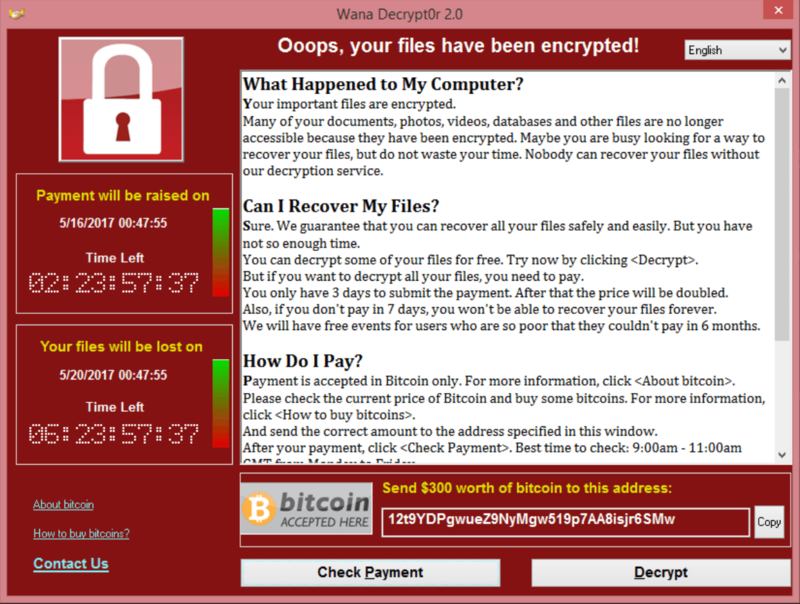 The WannaCry malware encrypts the computer’s Hard disk drive and then spreads into other computers connected via the same LAN. It also affected many users via Email Attachments posing as Invoice, Job Offer, Security Warning and more. The first reports of attack came from Sweden, Britain and France, while the countries mostly affected by this malware are Russian Federation, Ukraine, Sweden, Taiwan and others. In the first 1 hour, WannaCry had made over 75,000 attacks worldwide. This malware changes the Wallpaper of the infected computer to below show image with steps written over it, saves a ReadMe.txt file with 2-3 Question/Answers and details about payment. You can read more about this attack on Kaspersky website blog. To prevent yourself from such attacks, it would be wise to keep your Anti-virus and Windows updated to latest patches and carefully using your emails for attachments and files.